Back in 2008 (yes 10 years ago!) the band and I had been preparing for a summer tour to Texas. Life was much different for me then. I was single. Living on my own and trying to promote the Catholic Church through music. It was in the midst of this preparation and rehearsals for our Texas tour that we decided to put our heads together and possibly create a rosary album based on the song Come Hold My Son. At the time, it seemed like it would be an easy project that we could hammer out in a week or so… boy was I wrong! 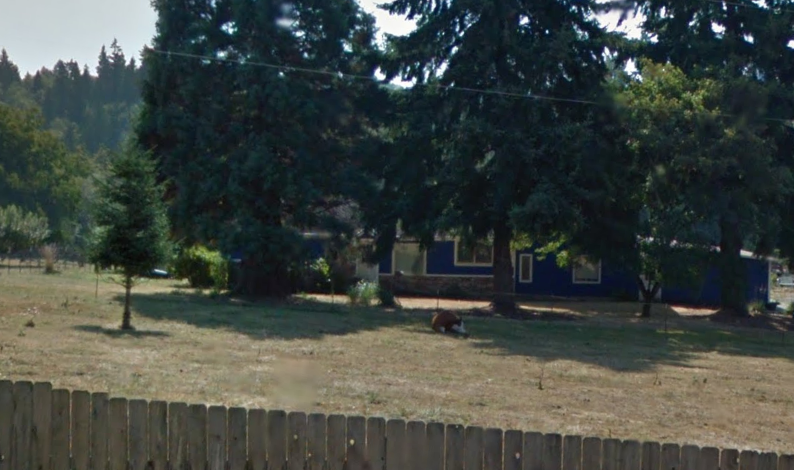 It took me 10 years to finally finish the rosary album that started with five guys, gathered together in a farmhouse, in Ridgefield, Washington. What we created there planted the seeds for the final version that I proudly present to you today. July in the Northwest is one of the most amazing months. It was then that my good band mates Brady Patterson, Matthew Lambrecht (now Deacon Bro. Matthias Lambrecht, O.C.D.) Vlad Kobylnik and Josh Olson and I all gathered together to record the rosary album. I brought to the table the instrumental parts of Come Hold My Son for the Joyful Mysteries, plus a guitar line that I had come up with for the Sorrowful Mysteries, while Brady, Matthew and I composed the music for the Luminous and Glorious Mysteries. What we created in that old farmhouse, owned by my brother, was truly inspired. I knew when I heard all the music come together that we had something very special on our hands. The old farmhouse owned by my brother where the original recordings of The Rosary were made. Our next step was to record the prayers with the entire band. At the time, I called up my good friend Adam Curtin who had engineered the album Companions of the Lamb. He came, we set up 5 microphones, and we began recording. That hot summer day we recorded all the prayers and laid them over the music. I knew when I heard all the music come together with the prayers that we had something very special on our hands. However, I didn’t know then that it was going to take me over 10 years to complete the project! As it was at the time, we found ourselves having to refocus our energy towards our Texas tour. So we put the rosary on the shelf for the time being. For the next 9 years, I tried many times to come back and complete what we had started. Each time though, I simply had other things come up. I was never able to finalize the pieces… Until 2017. 2017 marked the 100th anniversary of the apparitions of Our Lady of Fatima and I knew I wanted to do something special for The Blessed Mother. Early on in the year, I was praying and really asking our Lord for guidance for the year. It was in my prayer that I heard our Lord speak to me and simply say “make 2017 the year for production.” I knew what that meant in my heart. I was to record our 3rd full length album Michael and finish the rosary album. As many of you know we released Michael in December of 2017 with much success. 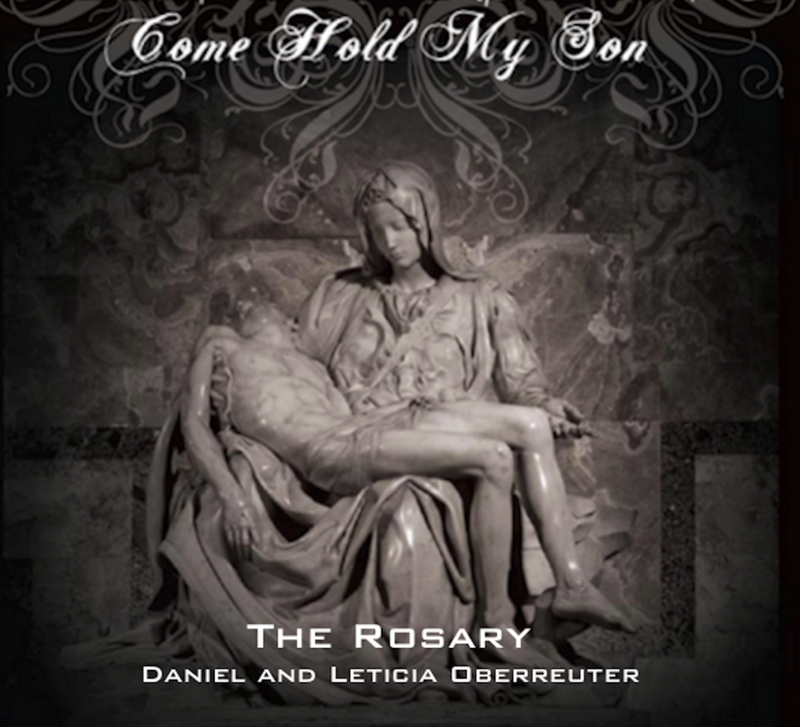 Now today we are releasing the finalized recording of Come Hold My Son - The Rosary. After recording Michael in the studio with producer/engineer Justin Abel, we moved to the completion of the rosary album. Along with this album, I new I wanted to include a new recording of the original song Come Hold My Son with my wife, Leticia Oberreuter. She accompanied me for the vocals on Come Hold My Son and joined me with for the prayers of the rosary. I was blown away at the new recording of the song Come Hold My Son. Justin and I spent a day in the studio recording and producing the song. If you are a fan of the original Come Hold My Son, you must hear this new version. You will be deeply moved (Trust Me!!!). After re-recording Come Hold My Son, Justin and I turned to the Rosary. We fixed and edited parts of the those original recordings we made back in 2008, and then my wife and I re-recorded all the prayers. The result turned out greater than I could have ever imagined! If you love the rosary as I do, want to introduce the rosary to your family, or you just want to pray the rosary more, you need to pick up a copy of this album. “Need” is a strong word, and I have never told anyone that they “need” to buy one of my albums. But this one is different. I truly believe Come Hold My Son - The Rosary will help you and your family pray the rosary, lead you closer to Jesus and Mary, and ultimately help you and your family get to heaven. But don’t take my word for it… You just got to pick up a copy and see for yourself. Thanks for reading and God bless.